Saturday September 9th from 9am to 3pm a bottle drive will be held to help reduce the registration costs for the kids wanting to go into the local scouting program. There will be some door-to-door pick-ups but why not just bring your empty bottles down to the garage on Victoria just north of Knowlton Road. Townshippers’ Day While not actually happening in Knowlton we’re all sure to be heading to the popular 26th Annual Townshippers Day in Richmond, not far from Knowlton. Come and celebrate the Eastern Townships in the annual gathering that highlights our pride in the region. 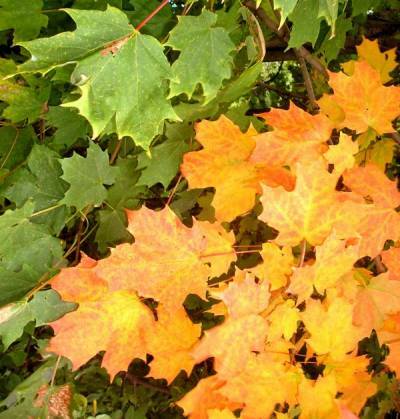 Activities for the whole family include artisans displaying their crafts, storytellers, good food, baking and displays as local museums, historical societies and heritage groups offer wonderful displays about the Eastern Townships history. There will also be entertainment by musicians including the Choromondo Choir, alternative rockers Imogen Grant, from Lennoxville The Ryot an up-and-coming folk rock band and Sarah Biggs from West Brome who in 2002 recorded the album Ruled by Emotion. while living in Oshawa Ontario. There will be a thrift sale at the Brome Hall from 9am to 2pm and again on Monday the 18th from 9am until noon. Come out and find a treasure! First Responders 3rd Annual Fund Raising Golf Tournament. The Town of Brome Lake First Responders are holding their annual golf tournament September 23rd, 2006 at the Lac Brome Golf Club. If you like mystery, crime and drama books try these! Ecosphere Presented by the “Group Écosphère”, a non-profit organization, will hold its first ever multidisciplinary fair dedicated exclusively to ecology and the environment. 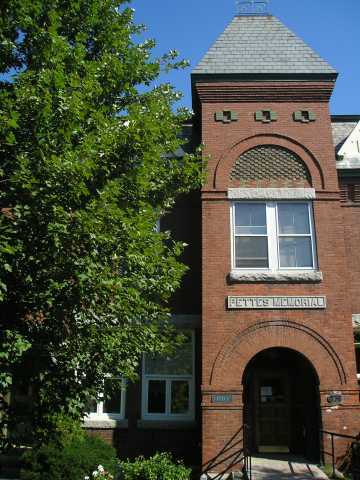 The Pettes Memorial Library in Knowlton. by Laura Teasdale. A play based on the premise that Patsy Cline could have met Hank Williams at the beginning of her career and in the last year of his life. This play revolves around this meeting with all the fantastic country music you would expect to hear. This is being brought back by popular demand. Presented by Theatre Lac Brome at Arts Knowlton, 9 Mont-Echo. Every Saturday in September in Knowlton, Lac Brome throughout the summer the Town of Lac Brome (Knowlton) holds a Farmer’s Market where fresh vegetables, fruits, cheeses, smoked fish, homemade pies and fresh cut flowers will be offered in an outdoor market environment. The Market will be located at 48 Maple Street in Knowlton and will run from 10am to 1pm every Saturday. See you there for coffee and goodies! Well…you missed the Brome Fair 2007 but don’t worry we have a full re-cap! A full collection of photos and videos from the Brome Fair plus we want you to come back for next year! See more about the Brome Fair | Check out our photo collection from the Brome Fair or look back at the 2006 Brome Fair. Milk & Honey The bounty of the harvest in the Eastern Towsnhips is abundant as the fall days become shorter and the lands reveal their natural wonders. 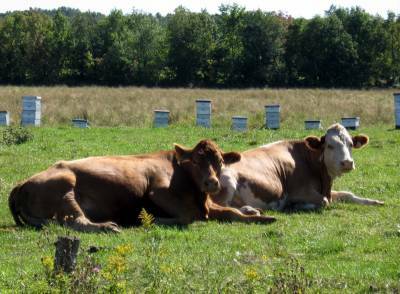 A trip through the scenic Eastern Townships reveals all sorts of beauty waiting to be discovered like these lovely cows sunning beside the bees. Jessica, a beautiful and spirited young woman from the provinces, comes to Paris to experience life in its infinite variety. She talks her way into a job waiting tables at a chic bistro on fabled Avenue Montaigne, the city’s nexus for art, music, theater and fashion. Jessica’s customers include a popular TV actress who is courting a major Hollywood director for her first serious film role; a wealthy art collector who is about to liquidate a lifetime’s worth of treasures at auction, and his estranged son, Frederic; and an illustrious classical pianist who is at odds with his manager/wife as to where his career is headed. Precisely because Jessica doesn’t know how celebrated these people are, she is not intimidated by them. Her guileless engagement in their lives has a transforming effect on them–and ultimately on her. Separated by clashing cultures and sprawling distances, each of these four disparate groups of people are nevertheless hurtling towards a shared destiny of isolation and grief. In the course of just a few days, they will each face the dizzying sensation of becoming profoundly lost–lost in the desert, lost to the world, lost to themselves–as they are pushed to the farthest edges of confusion and fear as well as to the very depths of connection and love. Gone Fishing The village of Knowlton is a natural wonder and a moment of peace and contemplative reflection can be found right in the center of the town. 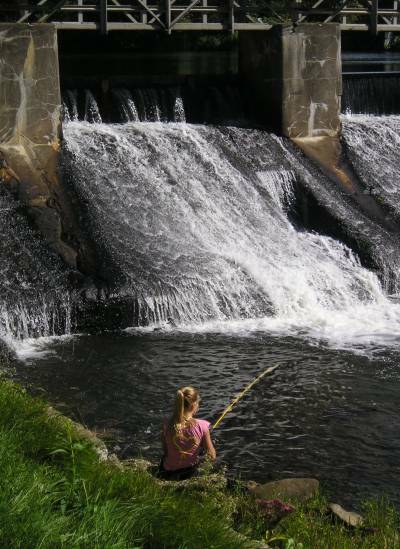 Fishing at the lip of the Dam, this girl casts her line into the waters in hopes of catching a wee fish.